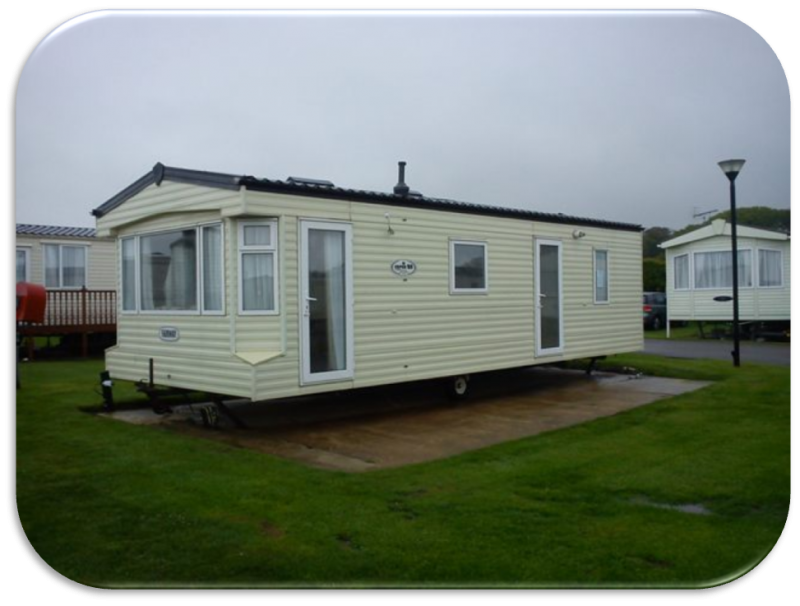 At Longmeadows Holiday Park, we pride ourselves in providing and obtaining prestigious stock for you, our customers. We need you to have the highest quality your budget will allow, giving you quality and value for money all the way, whilst maintaining those luxuries you expect in your caravan or Lodge. 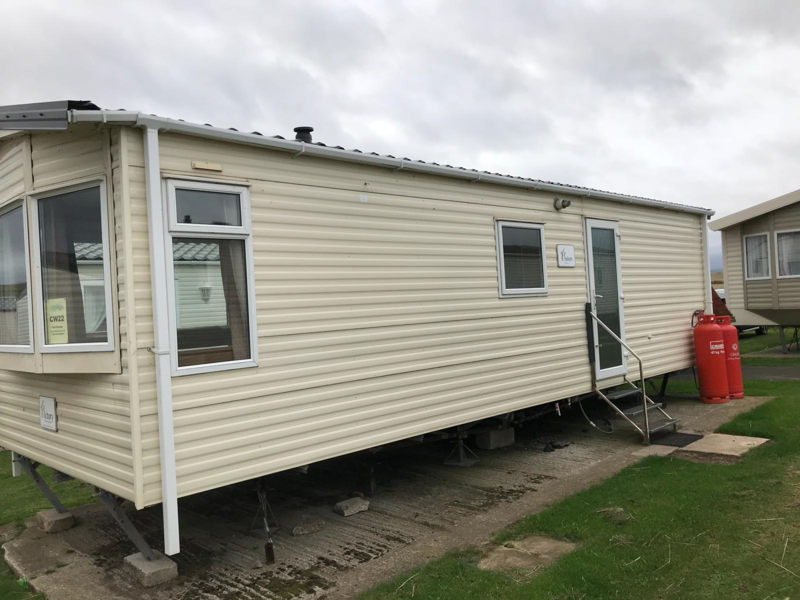 We supply high quality new and pre owned Holiday homes from all the main holiday home manufacturers and place them on our fully serviced plots. Please enjoy looking through our stock holiday homes and remember, If you cant see exactly what you are looking for, call our sales office and we will make every effort to find a holiday home that suits you and your budget on our park. (Park fees from £2007.80 for 2019 Eleven months and £2359.53 Twelve months). Our new WIFI hub packages are now available, with deals starting from around £20.49 per month, plus installation fee. Why lose touch when you are away! (These products are not only for your phone, they are a full broadband base for your t.v. phones, computers and games consoles). Please also check out our Lodges page on this website - Twin Lodges and Single lodges on Longmeadows, yours at amazing prices. Don't forget, your part exchange value may be higher than you think. Annual park fees for our new Twin Lodge area (typically under £3,000 per 12 month open period). We will take your tourer or motorhome in part exchange - ask us for details. If you are looking to part exchange or sell your holiday home from another park, we can help also. Please contact our sales team on 01964 613549. Exterior features - Grey aluminium cladding with Graphite upvc double glazed windows, LED downlights in eaves, limited edition badge, Sliding patio doors, Galvanised chassis. 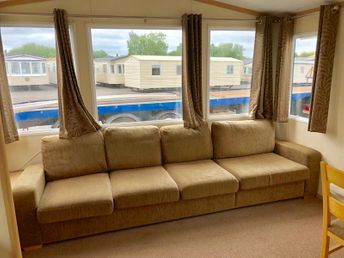 Interior features - Central heating with room thermostat, co-ordnited bedding pack (duck egg blue), En suite, storage footstool, freestanding seating (sofa & 2 x armchairs), Bluetooth MP3 sound system with ceiling speakers, Two additional USB sockets to lounge and all bedrooms. This Willerby Avonmore has an attractive new look and is a limited special edition. Now positioned on it's prime corner plot, number One Cedar Crescent, this is a stunning holiday home on an equally stunning plot. A lovely wrap around "Seaview" balcony and skirting are included in the price of this holiday home. All plots on this part of our holiday park are available for holiday use all year round. The extra technology in the new Avonmore S.E. ensures home from home luxury. Stylish, modern and ready to use on our exclusive owners only park. Includes current park fees (until January 2020), Siting, Gas bottles & Gas & electric safety test for immediate handover. NO PARK FEES UNTIL JANUARY 2020! FREE WIFI for 1 year WITH THE PURCHASE OF THIS HOLIDAY HOME. round insulation, the Maple is the ideal choice to extend the season. rooms and contemporary furniture make the Maple a popular choice. dining areas combine to offer an extensive seating arrangement. a dedicated position for a microwave oven and stylish, robust lipped mdf doors. offers everything you could want in a holiday home and nothing not to like! Includes park fees (until January 2020) Siting, Gas bottles & Gas & electric safety test. £34,950 includes siting, all safety checks and current park fee until 2019. FREE WIFI for 1 year, WITH THE PURCHASE OF THIS HOLIDAY HOME. 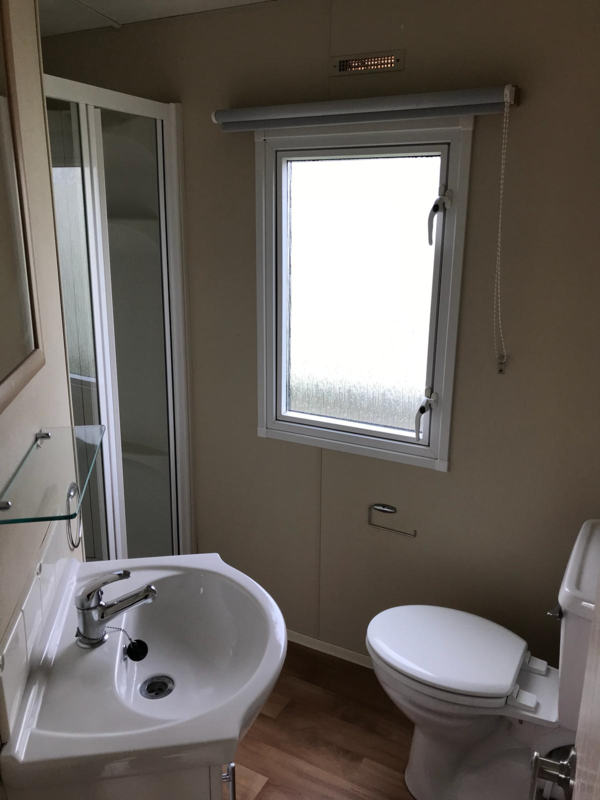 This well established holiday home manufacturer has released this double glazed and central heated holiday home with budget in mind without compromising on build quality from their more expensive ranges. 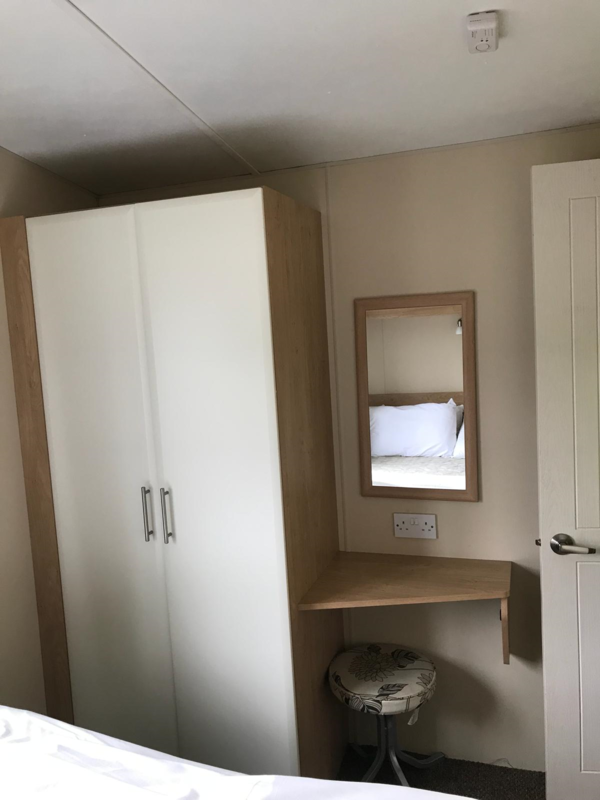 Ideally suited to you if you are looking for a brand new holiday home, with all the benefits of new, at a used price on our beautiful quiet holiday park. 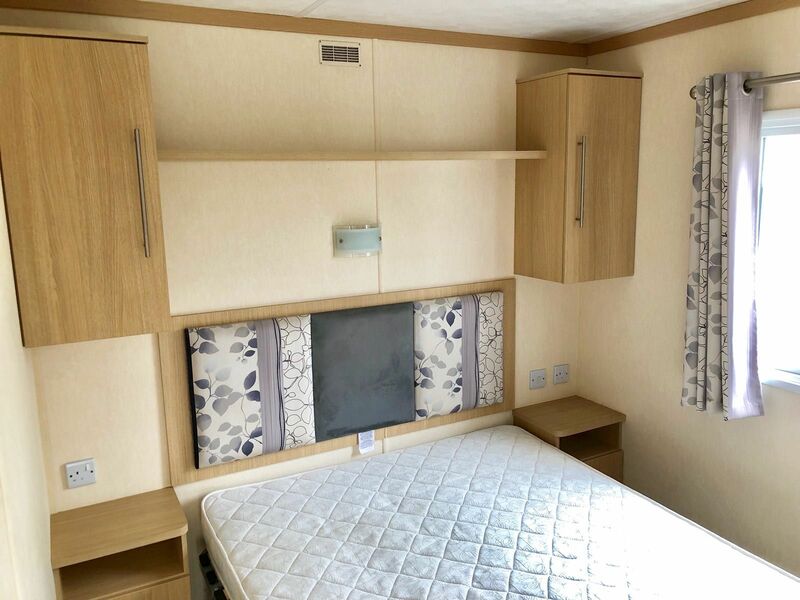 The Blossom features include an integrated fridge freezer, Double glazing and central heating, a tiled pitched roof, two lovely sized bedrooms with ample storage, a large open plan lounge with kitchen and dining area. 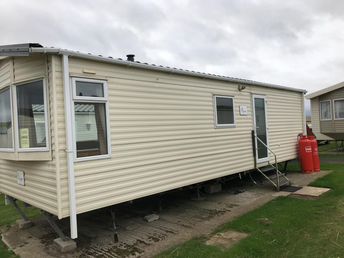 This holiday home will be sited on any suitable plot on our stunning holiday park and includes 12 month warranty, all check and tests and also the remainder of our 11 month park fee. Call in to view, you won't be disappointed. Photos will be along shortly. £27,750 includes siting, all safety checks and current park fee until 2019. Oozing with design quality, comfort and luxury. We have for sale a fabulous, rarely used B.K. Bluebird Grosvenor which is sited on a roadside plot with private parking on South Meadows. This is an excellent example of the high end B.K. Bluebird specification. With bright, feature windows to the lounge and Double french doors to the side, that east coast brightness floods your lounge, kitchen and dining area with a warm glow. The fully fitted kitchen hosts many features within, including a fridge freezer, full sized oven and hob and full extraction. 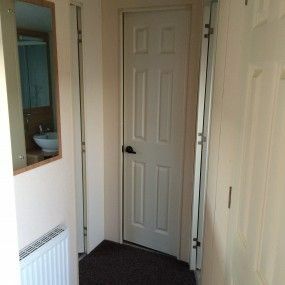 This holiday home has a large shower, w.c. and washbasin to the bathroom and en suite facilities and large modern wardrobe with sliding doors to the master bedroom. 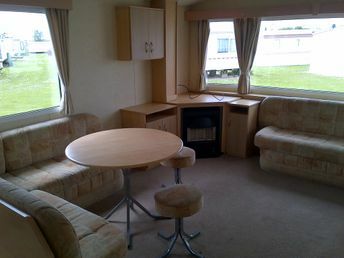 Boasting a large twin bedroom and guest bed in the lounge, six berth accommodation is luxuriously achieved. Now positioned on a quiet roadside prime plot with a new brick set parking bay included. In first class condition throughout, this is a must see holiday home, at the best price on the coast, as usual. Includes park fee until January 2020 on a large, single row plot giving you privacy and the option of 11 or 12 months use - Your choice! Roadside with private parking plot! INCLUDES SITING, PARK FEE AND ALL TESTS. NO PARK FEES UNTIL JANUARY 2020! Thirty seven feet by twelve feel of absolute luxury. Starting from the bottom, the Carnaby Rosedale features a fully galvanised chasis, layers of underfloor insulation and a very solid build quality throughout. Heading the living space, the lounge features free standing furniture and a large sturdy dining table with four chairs. The modern look throughout the holiday home is effective with nice colours tones and textures, all finished to the highest standards. The two bedrooms are extremely comfortable and boast space and storage in abundance. 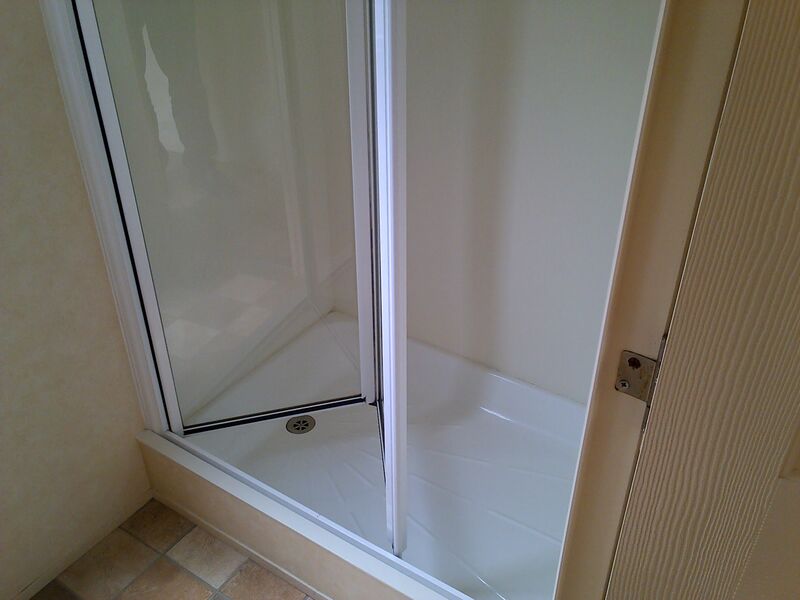 There is an en suite to the master bedroom and a very useful bathroom with large shower adjacent. The kitchen has undercounter fridge and freezer, a full sized oven, grill and hob with plenty of cupboard and worktop space for even the most demanding cook. This holiday home can be sited on it's ideal plot , close to parking for your convenience. Call in to view, or make an appointment to view any of our stock. Call Guy on 01964 613549 or 07769 037168. £25,950 No park fees until January 2020! This is a wonderful open plan holiday home by Willerby, sited on a lovely quiet plot near facilities. With all the luxuries you require, including full height fridge freezer, oven, hob, large sink and plenty of cupboard space, the kitchen is an extremely versatile, large area adjacent to the open plan dining and comfortable, stylish lounge area. Lovely large double glazed windows give light and a warm yet spacious feel to this modern holiday home. In exceptional condition, the Bermuda is sited on one of our larger plots (Park fee, siting, gas and all safety checks are included) within easy reach of parking. The central heating boiler feeds the radiators which are positioned neatly in each room, keeping off the chill for those bracing bright days we enjoy in the late season on the Yorkshire coast. This Willerby Bermuda has a lovely large shower room with w.c. There is another w.c. washroom located off the main corridor. The two twin bedrooms and master bedroom are a good size with wardrobe space and storage. £23,750 No park fees until January 2020! From Atlas' most confident and positive production period. 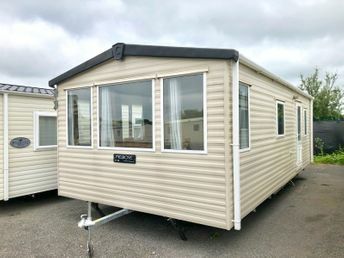 The Platinum is a top range holiday home. Offering style and comfort throughout, the stunning interior has a lovely solid feel. A feature fireplace adorns the lounge and maked a wonderful impression as you enter the area from the semi closed off kitchen/diner. The chunky wood blinds add to the atmosphere. 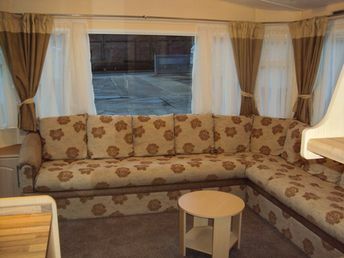 With new carpets and sofa style seating incorporating a guest bed, the lounge is very homely and bright. A high quality kitchen with fridge freezer, oven and hob, extractor and worktop space is fitted in this stunning holiday home. Further oozing quality in design is the master bedroom with direct bathroom access. The bathroom hosts a nice sized shower, w.c. and feature washbasin. 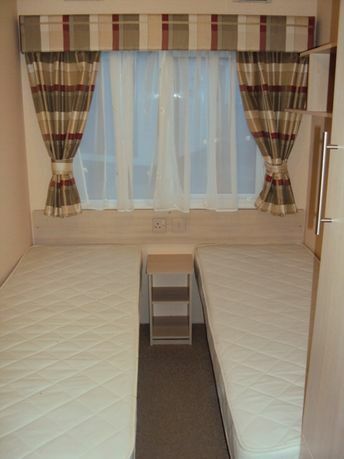 A good sized twin bedroom wraps up this near perfect holiday home's description. 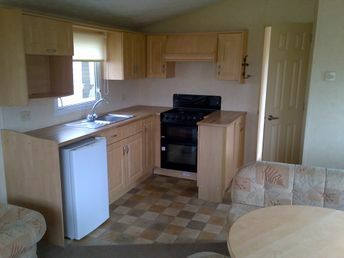 Available to view on our show area, with choice of plots on our fabulous friendly holiday park. £21,950 No park fees until January 2020! Delivering style and luxurious comfort in a beautiful small but perfectly formed holiday home. You will benefit from the pitched roof, high ceilings, double glazing and central heating in this stylish holiday home. The moment you walk into the hall, there is no doubt about the sensible layout, utilising the space in the best possible way. 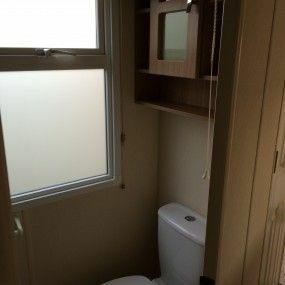 The bathroom with shower, w.c. and washbasin is conveniently near the entrance door. Also off the hall are the master bedroom and twin bedroom, leaving the lounge/diner and kitchen space with a large, comfortable feel about them. 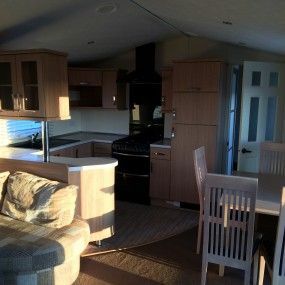 The lounge area has comfortable fitted seating with a lovely electric fire and plenty of light through the large front window arrangement, whilst the compact but surprisingly well equipped kitchen offers style, storage and utility in abundance. This lovely example of a small, economical holiday home stands out from many others of a similar size and will not disappoint you if you are looking for economy and quality in your choice of holiday home. 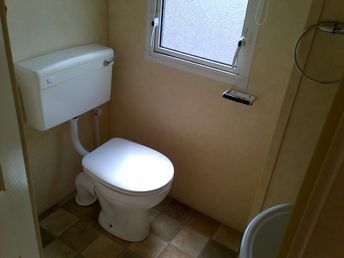 Available to view on our show area, with choice of suitable plots on our fabulous friendly holiday park. £20,500 No park fees until January 2020! 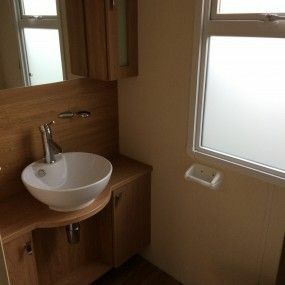 A Willerby Rio with Tiled Pitched Roof. Double Glazed and with electric heaters. A lovely open lounge with feature cupboards and high quality seating, including guest pull out bed, sets the scene for this Willerby Rio. A nice compact kitchen houses all the main appliances, Fridge, Oven & gas hob. In the bathroom, you will discover a large shower, washbasin and w.c. 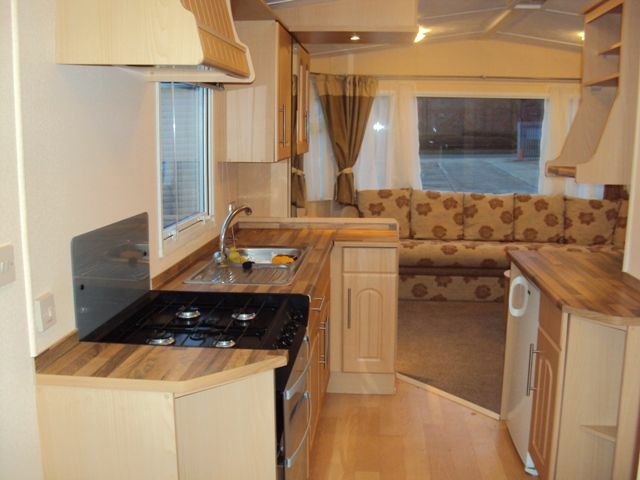 This three bedroomed model allows larger families to enjoy it's benefits, including 8 berth capacity. 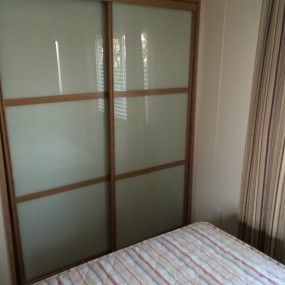 The master bedroom is a good size with clothes storage wardrobe. The two twin bedrooms are ore also of a good size, offering space and storage for comfortable stays. This holiday home can be sited on any available plot of your choice on our main park. Great value as there are no park fees to pay until January 2020! Free wifi for 1 year with the purchase of this holiday home. £18,950 includes siting, park fee and all tests. Pemberton Elite with Tiled Pitched Roof. Double Glazed and Central heated. 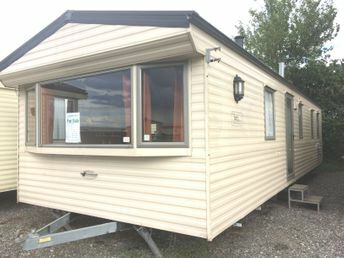 In A1 condition throughout, this is a lovely example of a very well designed and crafted, very comfortable Pemberton Holiday home. From the Galvanized Chassis to the ridge tile on the pitched roof, there is an abundance of quality products and workmanship. 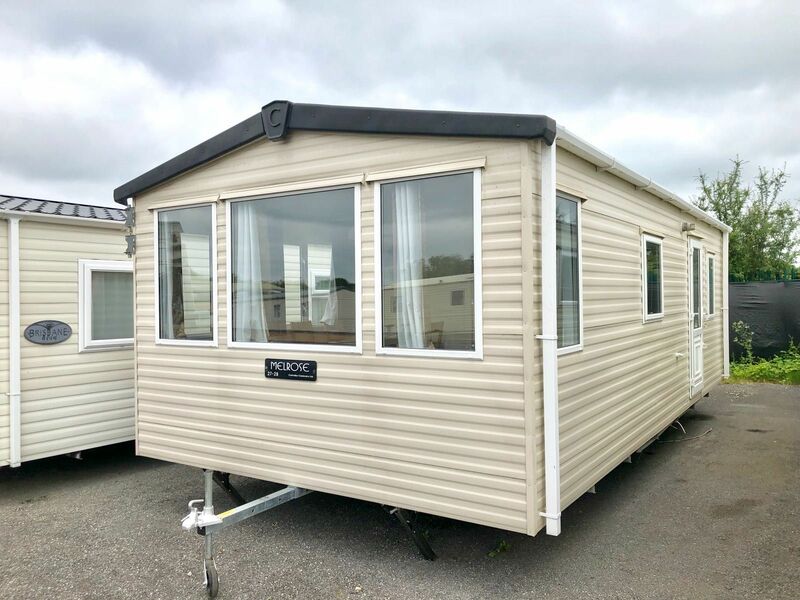 Boasting two doors, giving the option of adding a lovely balcony to this holiday home, the Elite offers comfort and quality throughout. The lounge area is bright with quality carpets and furnishings, the seating, houses a guest bed too, for those extra visitors. A gas fire and radiator in the lounge make this a very comfortable area whatever the weather. 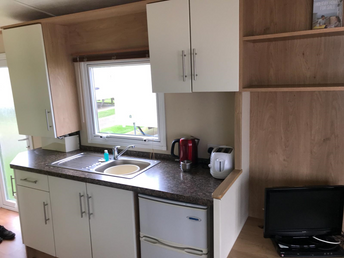 The kitchen is equipped with a full size oven and hob , fridge freezer and handy microwave space, there are plenty of cupboards and work surfaces in this holiday home, allowing you to stock up for your longer stays. A large shower, washbasin and w.c. adorn the very useable bathroom. Adjacent to the bathroom is the twin bedroom, which has lovely beds and storage. 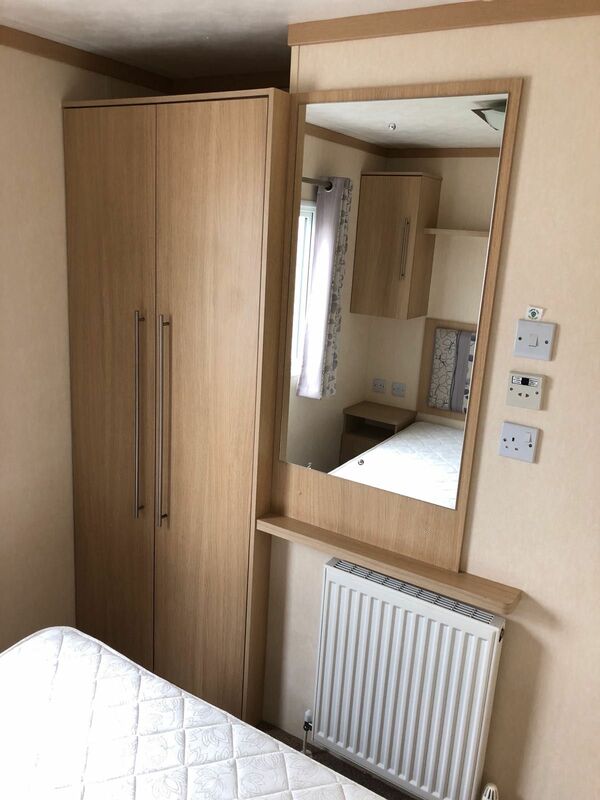 The master bedroom is full width, with great wardrobes, bedside cupboards and over bed lockers for your holiday needs. To be positioned on any suitable plot, the choice is yours. 10% deposit secures this holiday home. Great value as there are no park fees to pay until January 2020! Free Wifi included for 1 year with the purchase of this holiday home. Victory Vision with Tiled Pitched Roof. Double Glazed and Central heated. 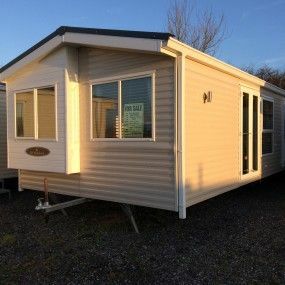 Excellent for anyone looking to own a very economical holiday home with all the comforts and warmth of a larger unit. In keeping with the excellence of the Victory factory build, this small holiday home exudes charm and quality. The master bedroom is very comfortable and offers plenty of space for those holiday clothes in the wardrobe and shelves provided. The radiator in the master bedroom makes this a lovely warm room and extends your holiday season well into the colder months, ensuring you have the option to use of your holiday home all year round. 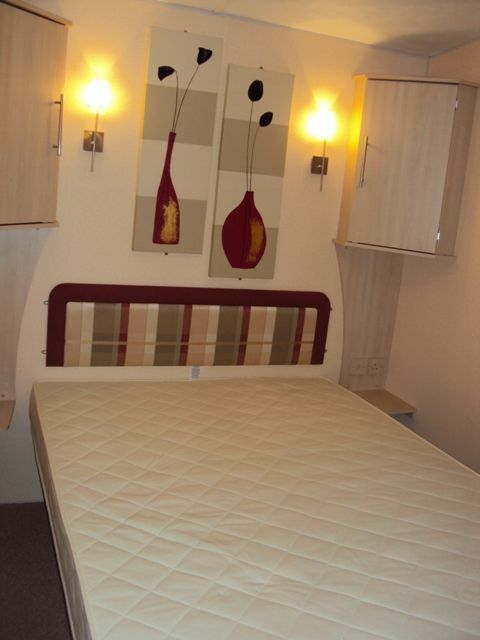 The twin bedroom offers the same comfort and is positioned next to the bathroom. The bathroom boasts a large shower, washbasin and w.c. it is another well designed room which offers enough warm space to use, without feeling closed in. The lounge/dining area is bright, with a gas fire and radiator, comfortable seating and a t.v. point. The lounge has a host of double glazed windows, which allow the Coastal light to pour in, adding to your holiday feel. 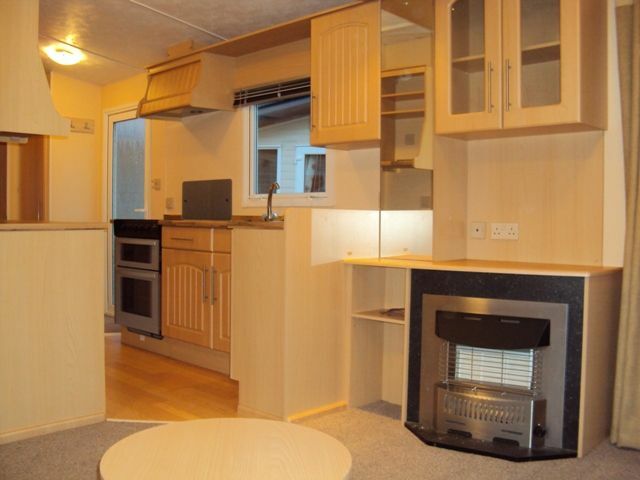 The kitchen area offers a full sized gas cooker and hob, fridge with freezer compartment and cupboard space aplenty. The wipe clean cupboard doors are an asset to any holiday home, as are the internal feature doors throughout this remarkable, unique and economical holiday home. £15,950 INCLUDES SITING, PARK FEE AND ALL TESTS. 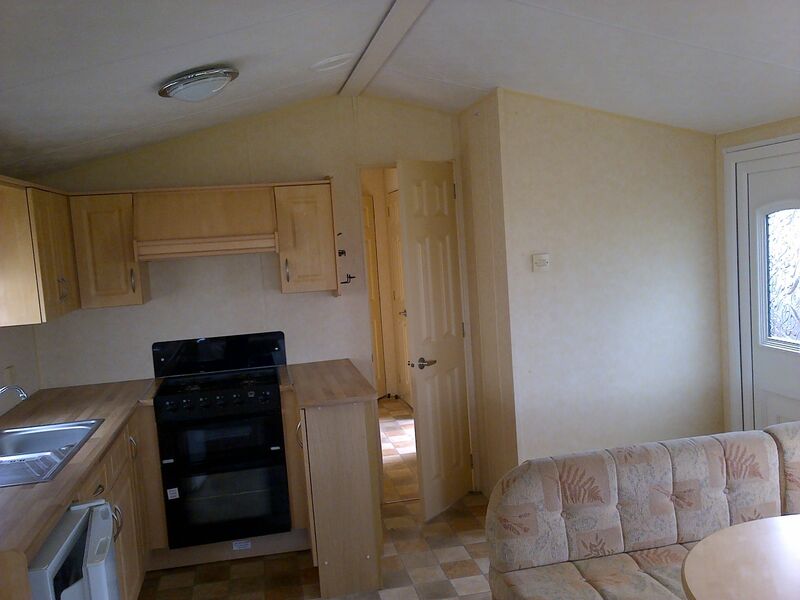 Willerby Vacation with Tiled Pitched Roof. Double Glazed, with a gas fire in the lounge. Offering 2 doors and many great features, we have a lovely example of a popular Willeby model here for sale. include a useful amount of storage space, good access around beds, separate toilet, great plot with paving ready for balcony. The lounge is open plan and nicely shaped with a diner area at the kitchen end, flowing smoothly into the well equipped kitchen. This holiday home is already sited on a sunny plot on South meadows, close to parking. £13750. Includes siting, Park fee and all tests. Now positioned on a great plot in South Meadows. The Atlas Oasis has a spacious & open-plan living area that includes a wide range of holiday home features as standard. Tiled pitched roof, New double glazing, 2 doors. 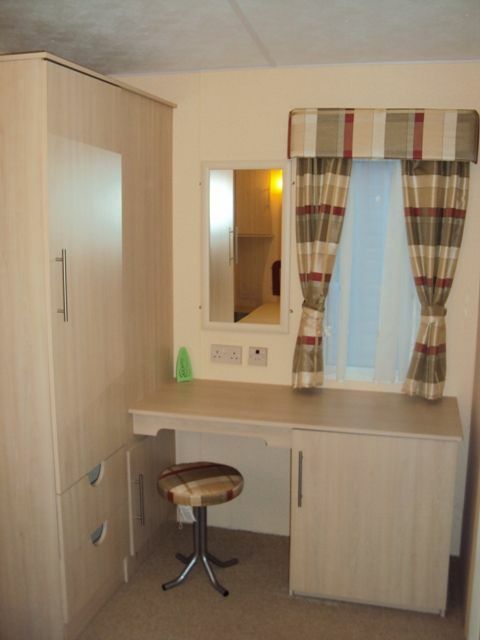 A perfect, smart starter holiday home at a low cost on the nicest park in the area! window. Dining table and store cupboard. 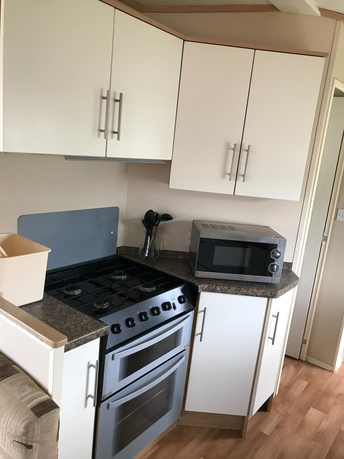 Galley style kitchen with ample work surfaces, cupboard space, oven /hob and Fridge. Twin Bedroom with single wardrobe. Please call in to see this Atlas Oasis, we are open seven days a week! There are some great plots available on Longmeadows for this holiday home, Please enquire. There are no park fees to pay until January 2019! £Sold. Includes siting, Park fee and all tests. Double Glazed, with central heating. storage space and good access around beds in the bedrooms. A fabulous holiday home in excellent condition throughout, at a fabulous price, which includes a lovely balcony. This Regal Elegance is sited on a quiet plot on Middle meadows, close to facilities and parking. Please enquire on 01964 613549. Or call to view, We're open 7 days a week. There are no park fees to pay until January 2020! Wifi is now available on Longmeadows. Phone lines available to each plot. A modified holiday home with central heating and double glazing, Balcony and Shed. In need of some restoration, this holiday home is priced to allow for new carpets, beds and adjustments back to specification. Having 2 bedrooms, a separate lounge and a nice kitchen area with units, fridge freezer, oven and hob, this is an ideal opportunity to own your own holiday home on Longmeadows Holiday Park. Outside, the balcony spaces are large enough for a table and chairs and are well positioned, allowing you to take in the sunshine all day. Includes park fees until January 2020. Sited on a quiet roadside plot. This classic Willerby Lyndhurst is a well loved model on a perfect roadside plot with parking. All original features are present and updates have been made, such as a new fridge freezer and new gas cooker. In immaculate condition and spotlessly clean throughout, this Lyndhurst offers three good sized bedrooms with classic wardrobes and cupboards enhancing all areas. 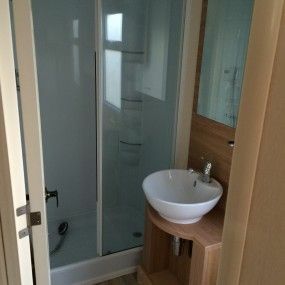 The separate w.c. and washbasin in the hall are a great feature in this three bedroomed, quality holiday home, allowing the shower room to offer a larger than normal shower. The luxury lounge has lovely upholstered seating with a guest bed and an extra door to the balcony. A large t.v. space is provided and the dining booth is neatly positioned in the corner of the lounge adjacent to the very useful kitchen area. Positioned on an elevated plot, overlooking the park and countryside towards the sea, the Swift Moselle is in Mint condition throughout. 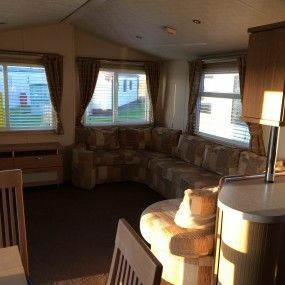 If your choice of decor is modern, you need a quiet, clean, friendly, 12 month park and comfort in and around the holiday home, then this Swift Moselle is for you! The open lounge diner area has a cozy feel with vaulted ceiling and modern decor, which is boosted by the bright double outlook doors allowing the sun to flood the lounge with brightness and warmth throughout the year and access to the wrap around luxury "seaview" balcony. The kitchen lacks nothing! A full sized oven, gas hob and extraction unit make life easy and the amount of worktop space is unbeatable. Full sized storage units and full sized fridge freezer complete this very capable kitchen. 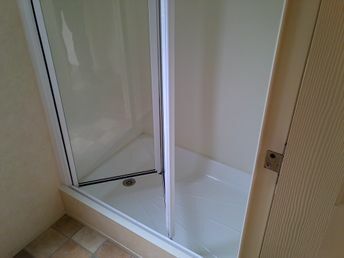 The master bathroom hosts a modern shower unit, toilet and wash basin. It is a heated by a radiator and has a large window for maximum light. The twin bedroom offers a wardrobe and over bed cupboards for storage and two comfortable twin beds. Storage in the master bedroom is plentiful, with one wall devoted to wardrobes and a storage bed. 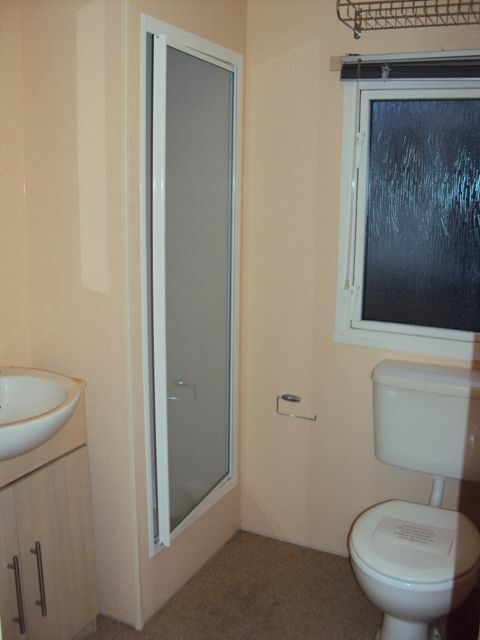 The en suite offers a hand basin and w.c. This master bedroom will rival any on the market for storage and comfort. Outside - The plot is in an excellent position on the park, with parking space for one car, a storage shed and a wrap around balcony, offering great views and masses of fresh seaside air. This holiday home is being sold by Longmeadows on behalf of it's owner. All enquiries through our sales office please. Take a look at the lovely condition and layout if this holiday home. Positioned on a nice quiet plot, close to the parks facilities, a double glazed, warm welcoming holiday home which delivers all you expect and more! 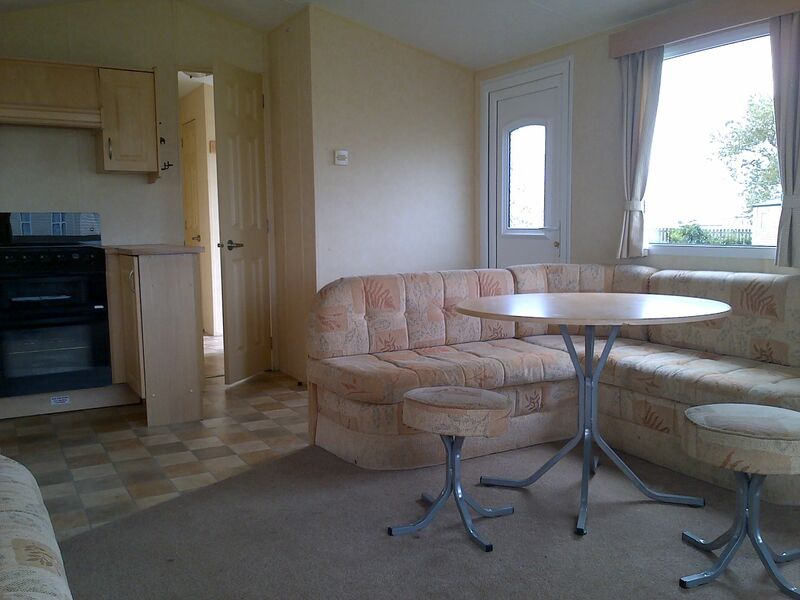 This 2 bedroomed holiday home is full 12ft wide and offers good space in both bedrooms. The master bedroom has storage and is a very comfortably sized room. A nice sized bathroom hosts a shower, washbasin and w.c.
With a gas oven and hob, a fridge and plenty of storage in the kitchen, you will never be short of space to cook or prepare your holiday meals. The lounge offers outside access by way of a second entrance door where a balcony can be added at any time. Lovely seating, a dining table and stools, gas fire and a t.v. point. This lounge is comfortable beyond expectations. This is low cost, high quality holiday home that offers great value and will make your seaside stays extremely comfortable. You will look forward to coming again and again. £10,950. Includes Park fee and all tests. Please contact our sales office with any enquiries regarding Holiday homes on Longmeadows. 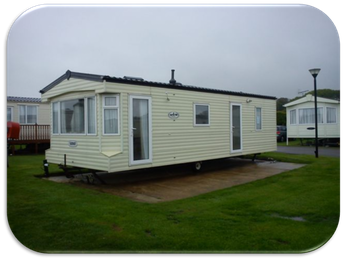 We can buy your holiday home, arrange offsite delivery, arrange for your caravan to be brought on to Longmeadows. Any questions, just give us a call. 01964 613549.